President Trump humiliated himself in the press conference that followed his meetings with Russian president Vladimir Putin — there's little argument about that. His comments on election meddling have produced a storm of outrage. But were they a significant win for Putin? The big picture. It’s right to be appalled by Trump’s performance. Yet after Russian officials are done gloating, they may find the results a little disappointing. As a forum for problem-solving, the summit was a near-total dud, without even limited steps forward on Ukraine, Syria or nuclear arms control. Both presidents mentioned small examples of this kind — from humanitarian relief in Syria to meetings of CEOs and some sort of unspecified coordination in global energy markets. All those issues now await discussions between senior advisers. Yes, but: Even that prospect looks iffy. The overwhelming criticism of Trump’s comments will inevitably complicate the follow-up. The Russian government wants re-admission to Western polite society, with official contacts at all levels becoming routine and, above all, legitimate. 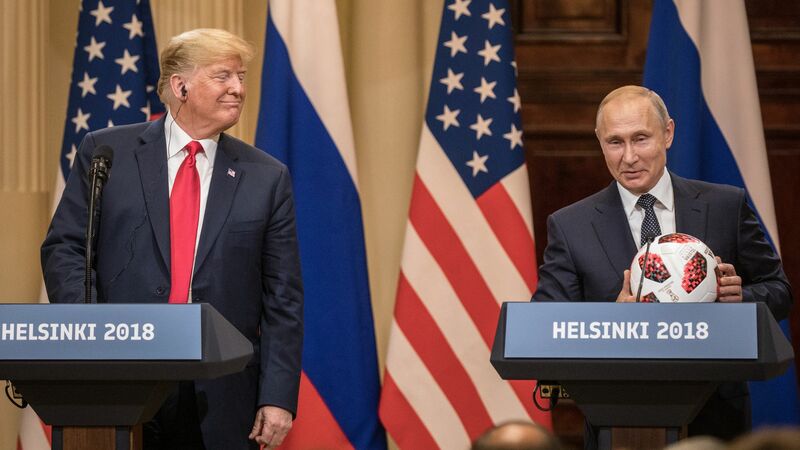 Now all those in the Trump administration, national-security bureaucracy, Congress, and GOP establishment who have harbored doubts about Trump's affinity for Putin will have more room to maneuver. What to watch: All the items on the Trump-Putin to-do list will now have to run a bureaucratic gauntlet. Don’t look for urgency. Bilateral discussions, when they occur, will have a narrower agenda. Congressional disapproval will be felt. The bottom line: Moscow commentators have been saying they thought Trump finally had the support he needed to open a new phase in relations. They’re now likely to see he has further isolated himself.